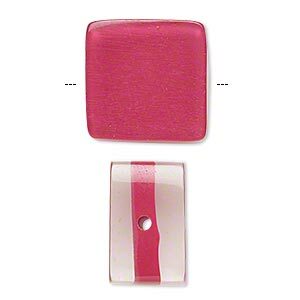 Bead, resin, clear/dark pink/grey, 31x22mm oval with zebra stripes. Sold individually. 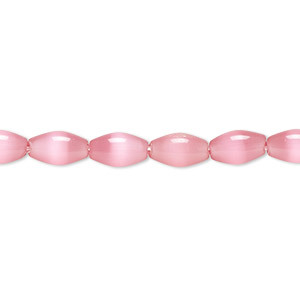 Lightweight beads feature layers of clear, dark pink and grey resin. Colors, shapes, sizes and designs may vary from bead to bead. 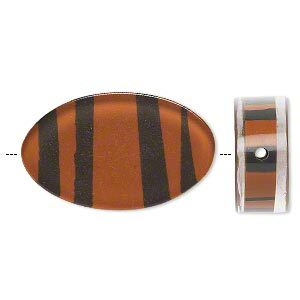 Bead, resin, clear/orange/grey, 31x19mm flat oval with zebra stripes. Sold per pkg of 2. 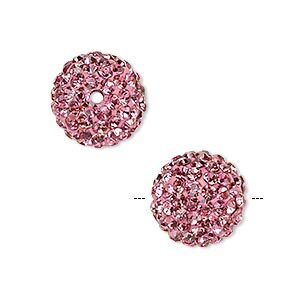 Bead, glass rhinestone / epoxy / resin, dark pink, 8mm round. Sold individually. 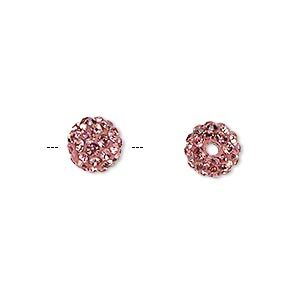 Bead, glass rhinestone / epoxy / resin, dark pink, 12mm round. Sold individually. 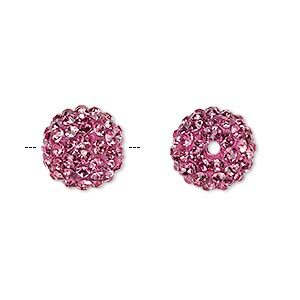 Bead, glass rhinestone / epoxy / resin, dark pink, 14mm round. Sold individually. Bead, resin, clear and fuchsia, 18x18mm square. Sold per pkg of 6. 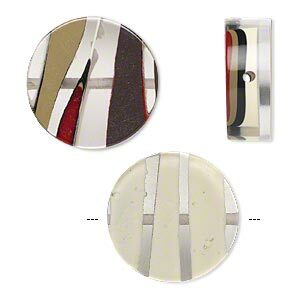 Bead, resin, multicolored, 24mm flat round. Sold per pkg of 2. 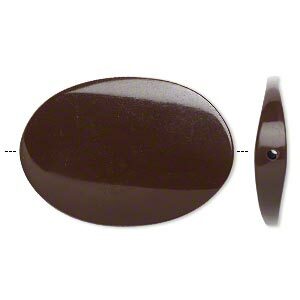 Bead, resin, brown, 45x31mm twisted flat oval. Sold per pkg of 2. Minimum 2 per order. 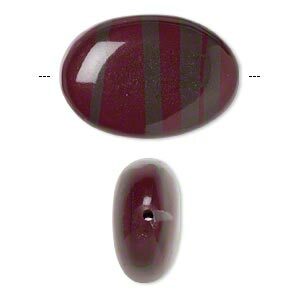 Bead, cat's eye glass, dark pink, 9x6mm oval, quality grade. Sold per 16-inch strand. 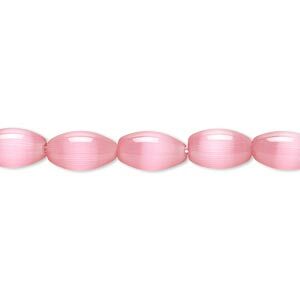 Bead, cat's eye glass, dark pink, 7x5mm-8x6mm oval, quality grade. Sold per 15-1/2" to 16" strand. 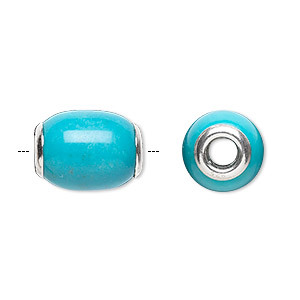 Bead, Dione®, "turquoise" (resin) (imitation) and sterling silver grommets, 14x11mm-16x12mm oval with 4mm hole. Sold individually.